If you missed it the first time, here’s your chance! 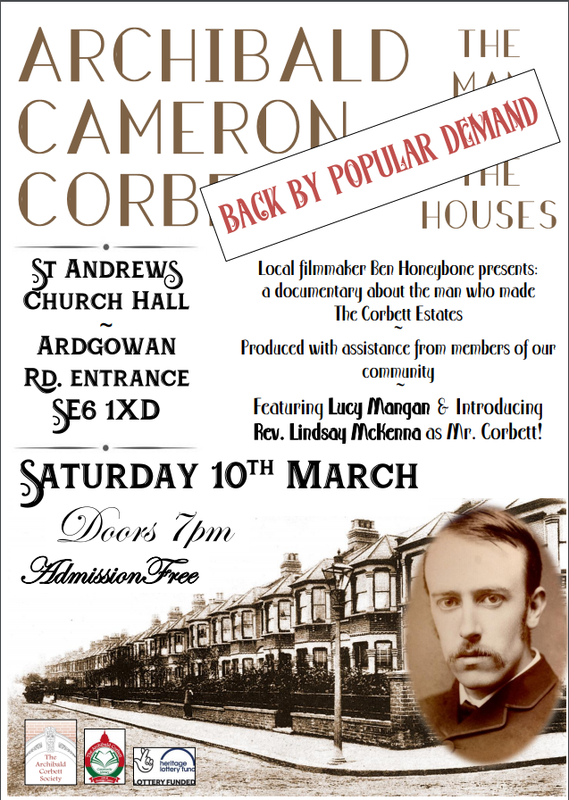 Following a hugely successful premiere in January, Archibald Cameron Corbett: The Man And The Houses is back for another screening at St Andrews Church Hall on Saturday 10th March at 7pm. Attendees at the previous screening gave the film glowing reviews, with one resident saying she was profoundly moved by the film, and Archibald Corbett’s great-great-grandson Jason describing the film as one of the best he’d seen about his family.